By 2050, India will be the most populous country on the planet with over 1.6 billion residents. Today, mechanical fans already account for 6% of the residential electricity consumption, but cooling demand is expected to rise considerably in the coming years, because of income growth and of the forecasted rise in temperatures due to climate change. Millions of low-cost and inefficient residential ACs are already being bought each year by the upwardly mobile Indian middle class, increasing drastically their energy demand for most parts of the year. 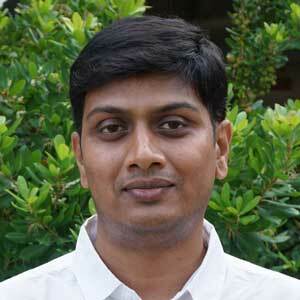 Air conditioners are set to become the single largest appliance for electricity usage in India. A recent report projects that for buildings, the energy demand for cooling will increase over 4 fold by 2047 with the number of room air conditioners expected to increase from about 26.3 million in 2016 to almost a 1 billion by 2050. While the country is already set to become the largest consumer of coal worldwide by 2040, the rapid growing cooling demand needs to be addressed from both a policy and a technological perspective. The industry is currently making considerable progress on reducing its energy intensity, particularly thanks the very popular market mechanism – Perform, Achieve and Trade (PAT). This market-based trading scheme launched in 2008 has improved energy efficiency in energy-intensive sectors introducing energy efficiency certificates and targets. Facilities making greater reductions than their targets receive energy saving certificates which can be traded with facilities that are having trouble meeting their targets, or banked for future use. Efficiencies of Air Conditioner technologies today are still hovering at a mere 14% of the theoretical maximum efficiency possible. A recent research shows that shifting the 2030 Indian stock of room air conditioners from the low efficiency technology to super-efficient ACs – which consume up to one-fifth energy – could save about over 0.32 GT/year annually, roughly twice India’s solar mission. Like many other countries, India has a Minimum Energy Performance Standards and a mandatory Energy Labelling administered by the Indian Bureau of Energy Efficiency. All ACs are rated from 1-star to 5-stars based on a metric called the Indian Seasonal Energy Efficiency Ratio. 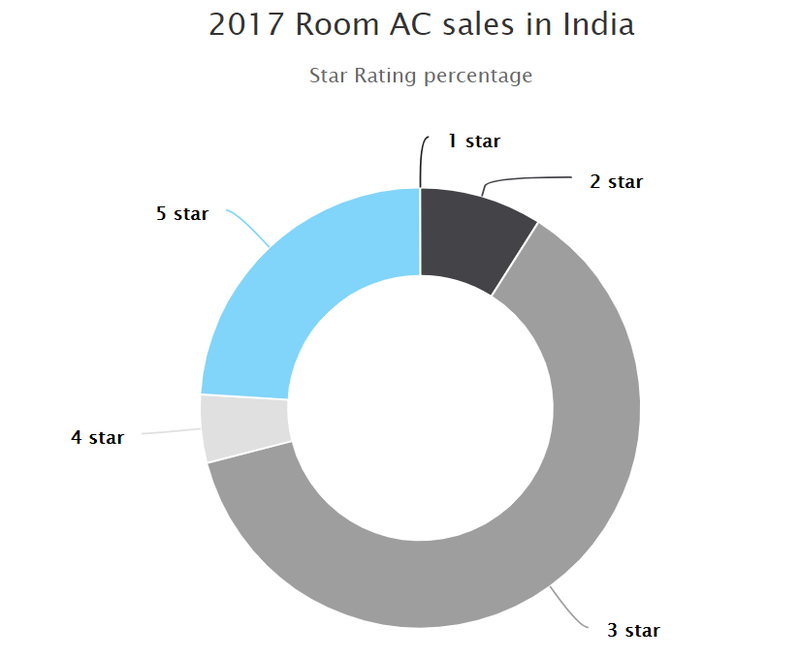 The minimum efficiency for each star rating has been raised on an average by 3% per year, resulting in the ACs efficiency increasing by 35% since 2006, thanks to the constant growing share of the more efficient, inverter ACs. Despite substantial progress with minimum energy performance standards, affordability of these most efficient ACs is still a challenge for most of the households and the best seller AC in the market still aren’t the most efficient ones available. Market mechanisms and government procurement could potentially drive down the costs further. An existing successful example is the Super Efficiency Air Conditioning Programme by EESL, a government-owned enterprise. The company coordinated and consolidated individual purchases into larger bulk purchases to buy ACs with ISEER rating higher than the 5-star available in the market, at a 25%-30% lower price than the 5-star. The biggest opportunity for containing the growth in cooling demand lies however in energy efficiency in new buildings. The Energy Conservation Building Code by the Bureau of Energy Efficiency defines since 2007 the minimum requirements for energy efficient design of building systems and sets the minimum energy efficiency standards for appliances such as chillers, cooling towers, air conditioners, fans and pumps operating in the buildings. However, this code has been applied only to commercial buildings so far, while residential buildings that form the bulk of new constructions up to 2030 do not have yet a similar mandate. The India Cooling Action Plan (still in draft) has recognized the need for appropriate building envelopes that could potentially reduce the country’s cooling requirement by 20%. The plan calls for a holistic approach towards building design to integrate urban planning with natural cooling systems, such as unplanned green spaces, or cool roofs and green roofs in urban spaces. Still, Indian households view an air conditioner as a status symbol, leading people to buy them but also to use them intensively, sometimes more often than required. Behavioural changes can be an important lever too and the recent directive for commercial buildings by the Bureau of Energy Efficiency to set the ideal indoor temperature to 24 °C is a step in the right direction.